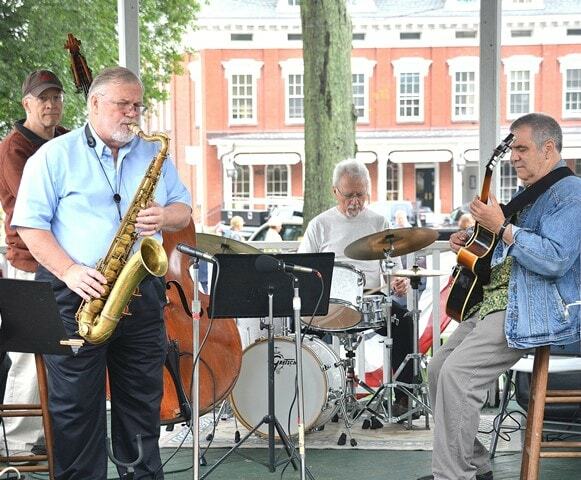 The Kelly Clark Quartet entertains guests from the Grafton Common gazebo. Grafton – A local nonprofit organization celebrated the landmark half-century anniversary of its major fundraiser. 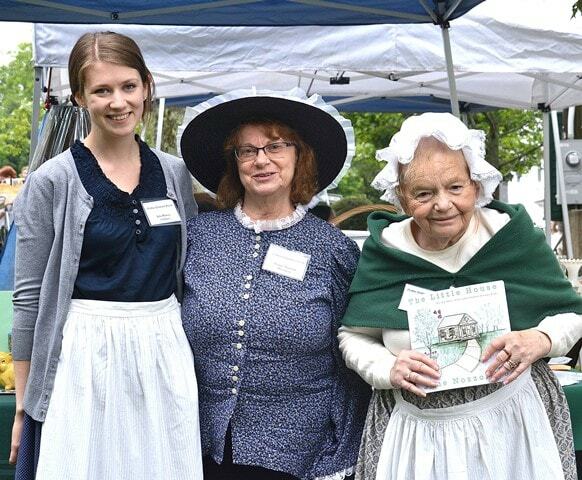 On an overcast June 17, the Grafton Historical Society presented its 50th annual Antiques & Arts Fair at Grafton Common. 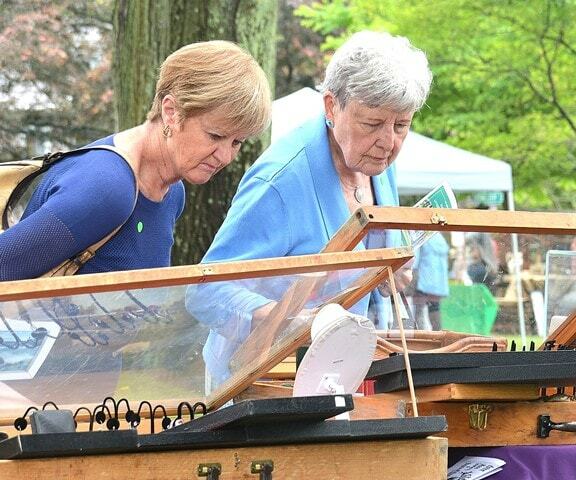 Guests browsed among dozens of booths offering antiques, collectibles, as well as artisans’ creations and demonstrations. Once again, Tom Tomaszek brought his 40 years of experience as an appraiser to assess the value of visitors’ antiques and heirlooms. A few years ago at this fair, he appraised a collection of The Beatles prototype 45-RPM records to be worth $10,000. Adding to the six-hour event’s ambience, the Kelly Clark Quartet provided live music from the gazebo. Food concessions were also available. Proceeds from the fair help maintain the Grafton Historical Society Museum, preserve the collection and fund programs. For more information, visit www.graftonhistoricalsociety.org and on Facebook at www.facebook.com/graftonhistory. Marion Charpentier and Mary Stuart peruse jewelry. 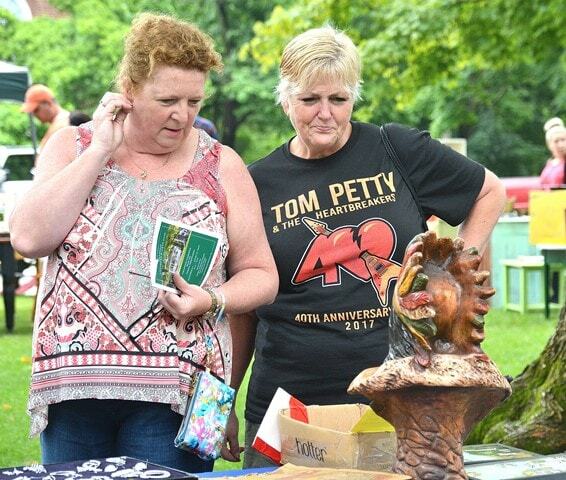 Sandy Piscitelli and Sue Bicknell check out a carved wood sculpture.